Facilities: Toilets in the hall & a picnic lunch will be provided. Please feel free to join us for as much or as little of the day as you like. 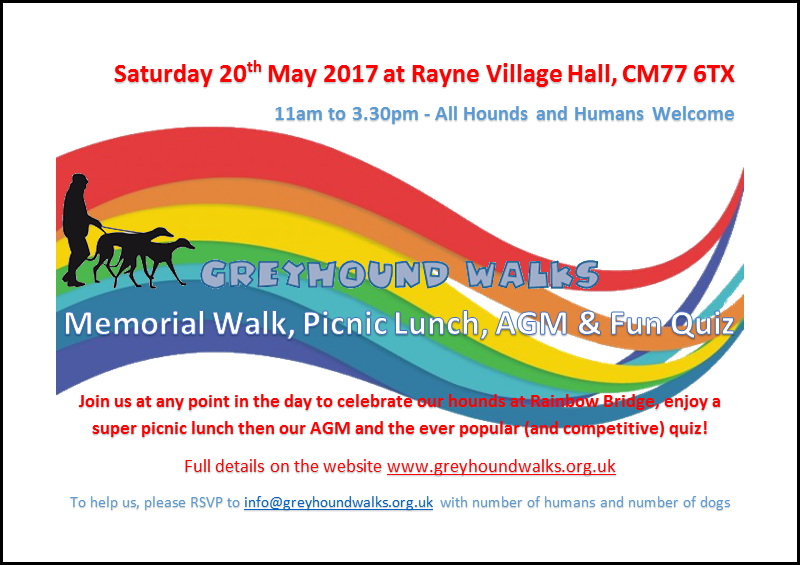 All we ask is that if you will be staying for lunch and/or the quiz that you RSVP to info@greyhoundwalks.org.uk, so that we can cater accordingly. And don’t forget to keep an eye on our Facebook page for more info/updates.